It’s estimated that Australia is home to 400,000 feral horses, all of whom pose a complex management problem, as horses often hold a great deal of economic and cultural value. How Did Feral Horses Become a Problem? Like most introduced species, horses first arrived in Australia with the first fleet in 1788. Over the coming decades, new shipments of working farm horses were brought to the colonies on a regular basis. However, a lot of horses escaped, as they never used to be kept in fenced off areas. The growing population of wild horses later expanded when working horses were replaced with farming equipment. 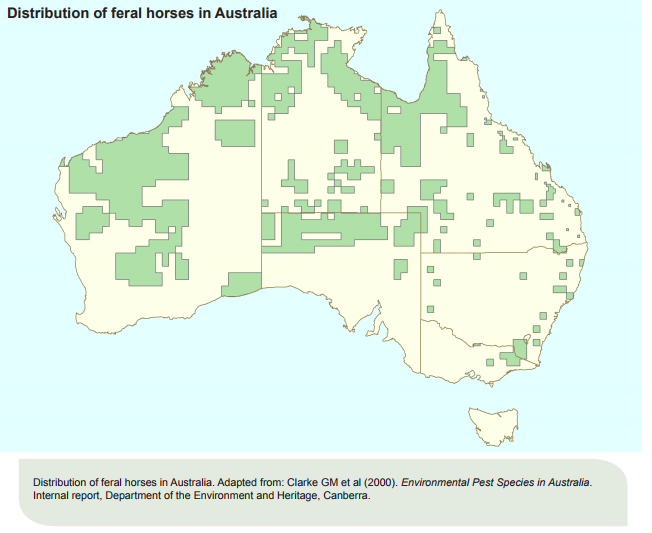 Where are Feral Horses the Most Problematic? Feral horses are most commonly found in cattle production areas in the Northern Territory, Queensland and parts of Western Australia and South Australia. However, scattered populations can also be found in parts of Victoria and New South Wales, but usually in sub-alpine and alpine areas. Horses are known to inhabit a variety of different areas with varying conditions. They can survive in semi-arid plains, rocky ranges, tropical grasslands, wetlands, sub-alpine forests and even small offshore islands. However, horses do prefer grasslands with plenty of shrubs and water. Their only natural threats are bushfires and droughts. What Impact do Feral Horses Have on the Environment? Feral horses are considered major environmental pests, as they cause severe erosion and frequently damage vegetation with their hard hoofs. It’s not uncommon for them to damage or pollute waterholes, and they often introduce and spread weeds that are carried in their dung, manes and tails. In certain areas, horses overgraze, as they have to travel as much as 50-kilometres to find drinking water. This poses a significant threat to native wildlife that can be forced out of their habitat due to a lack of food. This also has a negative impact on farmland and animals as feral horses will eat pastures, destroy fences and can cause cattle to scatter. What Control Methods are in Place? If left unchecked, it’s believed feral horse populations would rise by as much as 20 per cent each year. A number of conventional animal control techniques can be used to control feral horse populations, however, strict animal welfare guidelines do need to be followed. Mustering is one technique to catch wild horses. While the older horses will be transported to abattoirs, younger ones can be kept for saddle horses or pets. In areas where the terrain isn’t suitable for mustering, aerial culling can be used. This process is quick and eliminates the stresses of mustering. But, to be successful and humane, aerial culling can only be undertaken by properly trained and accredited shooters who follow the proper procedures. 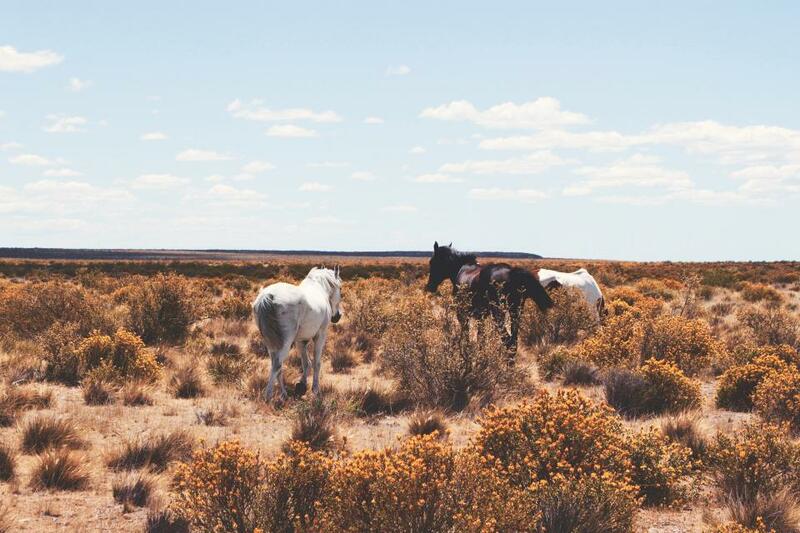 To learn more about feral horses in Australia and the control methods in place to prevent the spread of their populations, call the team at Animal Pest Management Services on (08) 9726 2537 or submit an online enquiry form today!